The club competes regularly as a team in road races throughout the year. 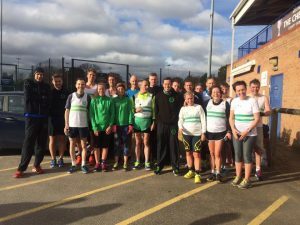 Runners from all age groups take part in the North West, Northern and National Road Relays. 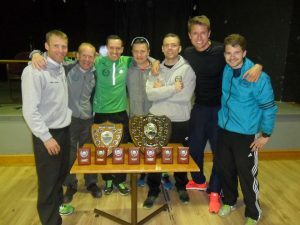 Senior teams also compete in the Veterans Road Relay Championships. The senior men and ladies compete in the Borders Road Race League over the winter. The fixtures and results for 2016-2017 can be found here- http://www.bordersleague.org.uk/. The site also contains an archive of previous years results. Club members also compete individually in the many road races available locally and beyond over distances from 5K to marathon. This year we will be for the first time competing in the Mersey Grand Prix over the summer http://www.wirralac.co.uk/mersey-grand-prix-road-race-series/.